Rumor has it that with the approved sale of Ruden McClosky’s assets to Greenspoon Marder, 200 East Broward Blvd. will add three floors, or approximately 30,000 square feet, back into their available inventory. The 225,000 square foot office building is currently 48% vacant, with 108,158 square feet available, according to CRE-sources data. The law firm will retain a presence in the building, occupying one of the four floors it currently leases, according to sources. Last November, Ruden McClosky announced that the US Bankruptcy Court for the Southern District of Florida had approved the sale of its assets to the Greenspoon Marder law firm. As approved, the sale will result in combined operations totaling approximately 140 attorneys and 400 staff members located in 10 offices throughout the state. 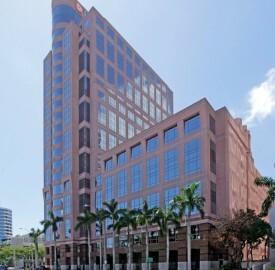 Greenspoon’s South Florida offices are located at the Trade Centre South building, at 100 West Cypress Creek Road in uptown Fort Lauderdale. Greenspoon Marder also has offices in Aventura, Boca Raton, West Palm Beach, Stuart and Orlando. Approximately 50 Ruden McClosky attorneys will continue their practices under the Greenspoon Marder name. The vacancy at 200 E. Broward is reported to take place in late March.